Anderson homes was the original developer and builder of this subdivision. Prior to the market bubble this development was selling out fast. Garman builders took over a few years back and all the single family new construction homes have been sold out. Existing home styles include ranch and 2-story plans. Prices range between from $190-$385k. Townhomes starting in the $190's. They also have a facebook page Bridgewater Sub-division that you will need to send a request to join. Bridge Water has a H.O.A. Home Owners Association. 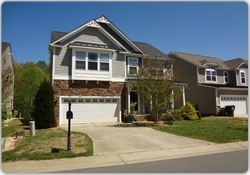 To check out there website click Bridgewater Hoa Hoas insures that the subdivision is kept up and looking nice. Make sure you check out the the restrictions to make sure it works for you. The dues for living in Bridgewater are currently $80, and billed quarterly.